If it weren’t for the whole making-a-living part of life, I would spend all my days traveling the world without even giving it a second thought. Unfortunately, making a living seems to be one of the cruel prerequisites to my globe-trotting dreams; so, until then, I travel when I get the chance and often resort to cooking to fulfill the rest of my curiosity. This past month I thought of an idea that would be awesome to do with all the fellow food bloggers out there. 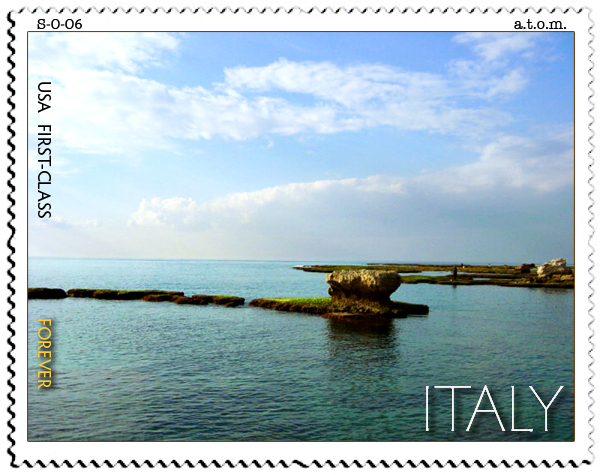 Let’s travel around the Mediterranean! I know! Why didn’t I think of this before? My type of travel doesn’t require any sort of luggage or even a passport, just a hearty appetite for Med deliciousness. We’ll taste it all; from the Portuguese influences present in Spanish cuisine to the earthy undertones unique in North African fare. The project has been appropriately titled, A Taste of the Mediterranean. Each month I will feature a different culinary region from the Mediterranean (French, Greek, Italian, Middle Eastern, North African and Spanish) along with an appropriate regional recipe. This is where the traveling comes in. The challenge will be to blog about your own spin on that particular recipe (or technique) for a chance to win that month’s grand prize. Each challenge will also come with a unique stamp that all participants can use to decorate their blogs with! Participate each month and collect them all!